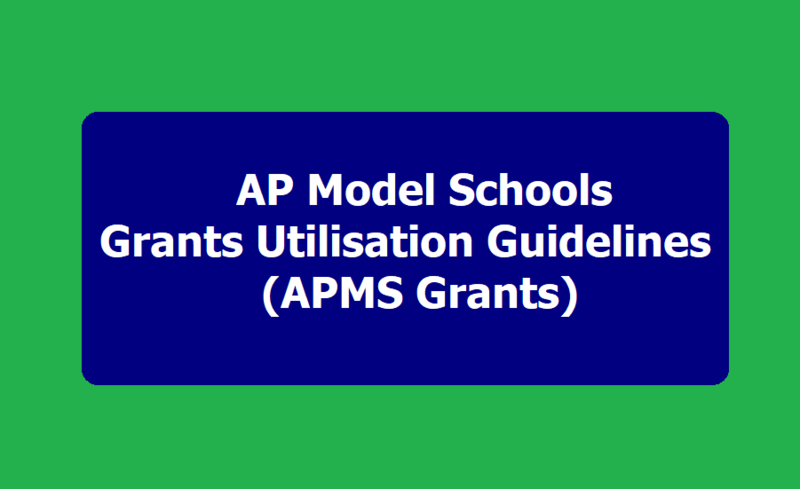 AP Model Schools Grants Utilisation guidelines 2019-2020: APMS Maintenance Grants Utilisation guidelines. AP Model Schools Annual Grant Utilisation guidelines. CSE AP has given the APMS Grants Utilisation guidelines for utilize an amount of Rs.3,00,000/-(Rupees three lakhs only) sanctioned by the State Office, APMS, per academic year towards maintenance of the Institutions. i.e., Maintenance of Academic Activities, Maintenance of Infrastructure and Miscellaneous in AP Model Schools. 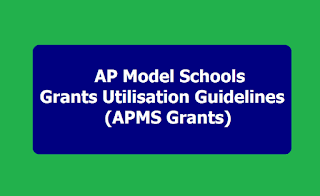 Certain Guidelines are provided for Utilisation of AP Model School Grants sanctioned by APMS. Subject: A.P. Secondary Education Society - Model Schools - Utilisation of School Grants sanctioned by APMS - Heads of Expenditure -Certain Guidelines - Issued. All the Principals of A.P.M.S. in the State are, therefore, hereby instructed to meet the expenditure as per the above allocation under specified heads of expenditure and sub-heads. The amount indicated under one head of expenditure shall not be utilised under another head of expenditure. However, the amount allocated to one sub-head may be shifted to another sub-head of the same head of expenditure strictly basing on the need. The unutilised amounts shall be carry forwarded to the next academic year. Further, it is informed that the amounts in the APMS School Account may be retrieved back at any time without intimation as per orders of the authorities and the amounts pertaining to other than A.P.M.S., shall not be reimbursed in future. Hence no amount other than granted by the A.P. Model Schools should be kept in the APMS School Account and the Cash Book and the Stock Registers shall be maintained in proper manner as per need and subject to local / internal / statutory audits. Any deviation against the above instructions will be attracted suitable disciplinary action against the defaulters.